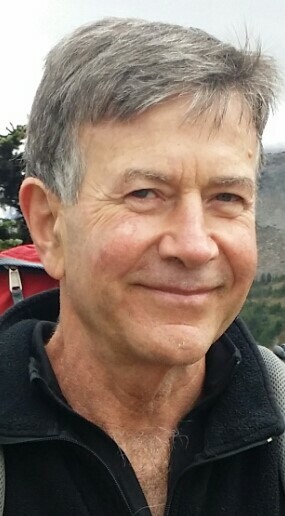 Dr. John Gibson has more than thirty-five years of experience as a life coach and counselor, focusing on adult development, aging, and families. A graduate of both Columbia University and the University of Michigan, he holds degrees in psychology, social work, applied statistics and a specialization in aging, focusing on adult development and family relationships. He has been on the faculty at Columbia University and the University of Washington. John coaches and speaks on topics related to multigenerational family relationships, wellness and illness, and building networks and community. He is the author of numerous articles and books on health, family, and aging. He has spoken internationally and has appeared on radio and television shows. John regularly consults with individuals and families, and frequently helps them set up personal safety nets or create care-share teams. Judy Pigott has a wealth of extended, blended, and chosen family experiences in both leading and participating in care-share teams. She has an undergraduate degree in psychology from Skidmore College and a master’s degree in teaching from Teachers College, Columbia University. 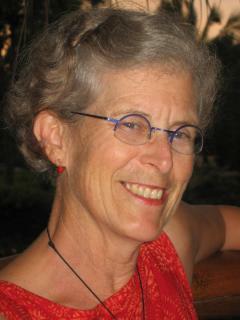 Judy's post-graduate studies at Seattle University focused primarily on teaching English as an Additional Language. She also has training and experience in Hospice work and creating care-share teams. She is committed to fostering communities that nurture all participants physically, intellectually, emotionally, and spiritually. Whether it's anxiety and fear from cancer, dementia, a sudden disability, or preparing for the final goodbye, Personal Safety Nets offers practical, honest tools for both caregivers and care recipients. For example, there are scripting and sample letters for people who might prefer death to asking anyone for help, a self test to distinguish between grief and depression, and dozens of illustrative real-life scenarios (including successes and failures.) Personal Safety Nets doesn't promote yet another speakers-circuit concept nor any religious or political point of view, which I find refreshing. As a man who had a full-time, demanding job and suddenly became a single father with two young boys, I wish I'd had this book 25 years ago! I am buying an extra copy to give or loan to a friend or loved-one when it's needed, and I'm keeping the original on my "keepers" bookshelf. I found Personal Safety Nets very helpful when I need to move in a hurry. I built one quickly using the advice I found in the book. But then I realized that it was a great process for meeting any need that can best be managed by a group. I assembled a group to help in a school project, and then using the same methods, found people to maintain what we did on an ongoing basis. This book is a gem in how to manage groups, delegate responsibilities, and avoid group member burnout, for any kind of an organization, whether it is to help in a personal crisis or gather to protect or improve a community. I am so glad I read it, and highly recommend that anyone read it, if for no other reason than to learn it is okay to ask for help when you need it. That it is, in fact, a gift of service that you are offering to your friends and neighbors. Everyone benefits. I found this book incredibly helpful when I needed it the most! Lots of suggestions on ways to weave a safety net, tools on how to ask for help and true life stories I found engaging and heartwarming. I sleep better at night, knowing I have my safety net in place. This is a really valuable book. The idea of anticipating the toughest personal or family tragedies by pre-arranging a support group is a wonderfully novel but practical idea. Beyond that the authors have provided an all-inclusive list of practical tips on how to do this effectively. I was particularly attracted to the wisdom of being sure that those you ask for help understand that you are perfectly willing to accept a “no” for an answer. Reading Personal Safety Nets was almost a spiritual journey. It guided me through needs and responses I was only just vaguely aware existed. How frequently I thought, “if only I’d read this before Granny got sick.” As a professional who works with families I felt immediately that this book was the most important contribution to the field of life-crises management I had ever seen. I have now had an opportunity to look at Personal Safety Nets. I really like it and its strategies. I certainly believe in the concepts of Personal Safety Nets, and have seen them work. Although I originally did not think this book was applicable to “my” life, I now see that it is applicable to EVERY life. Personal safety nets apply throughout life, not just in later life or transitions as I’d originally assumed. Certainly all families, especially families of single parents, need intentional plans that will provide the support people so desperately need at times when it matters most. Personal, emotional safety nets are not only helpful, but absolutely necessary! Getting ready for life’s inevitable changes and challenges from Bryan Health on Vimeo.